We are a team of professionals with essentially one job - to make your home the place to be. We specialize in end-to-end home improvements that include kitchen & bath remodeling, roofing, siding, gutters & downspouts, patios, porches, decks, new additions, demolitions, painting, and major repairs. We have been doing this since 1980. What sets us apart from many other home improvement companies is that David St. Germain actually does a major portion of the work himself. Unlike the typical general contractor who simply drops by from time to time to check up on their workers, David's policy is to be an integral part of every project from start to finish. He personally partners with customers to design and price their projects. 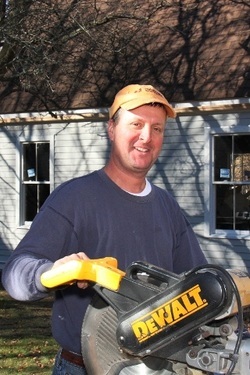 During the project, he not only provides oversight and supervision of his team's day-to-day work but also performs much of the work himself, from demolishing a front porch to completely siding a house. This longstanding business model enables us to consistently deliver uncompromising results, and more importantly, ensures accountability that is expected of us. While we have practically no limit to what we can do, we do voluntarily limit ourselves to one major project at a time. This allows us to stay focused and deliver in a timely manner. We comply with all Massachusetts registration and licensing requirements pertaining to the home improvement work that we do. The BBRS requires an individual who supervises building construction for certain building types to be licensed as a Construction Supervisor. David St. Germain complies with all BBRS requirements and has valid Construction Supervisor License # 70564. We are fully insured, through public liability and workman's compensation insurance, to cover any work-related incidents. Our insurance binder provides all the details. We are currently an active member of the BBB and our profile and rating can be found HERE.